Kroger Pharmacy Hits It Out of the Park Once Again! 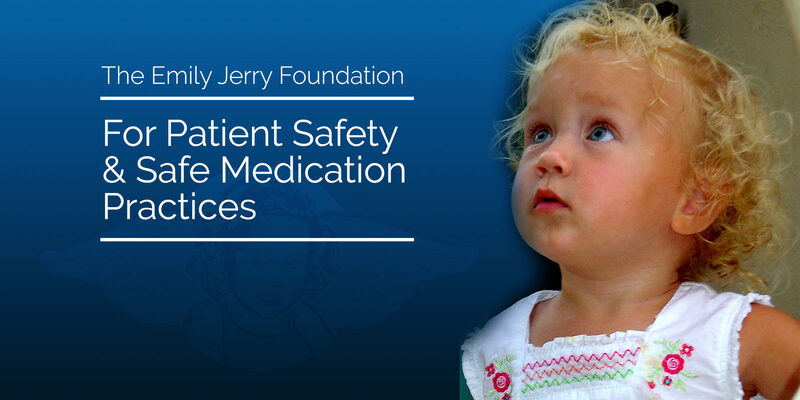 For those of you who have been following The Emily Jerry Foundation over the past few years, you are already aware of the fact that most my speaking engagements, time and attention, has really been focused on the various aspects of clinical pharmacy in our nation’s medical facilities. What has always been most important to me, with respect to pharmacy in general, is finding logical and effective ways to significantly reduce the probability of “human error” entering into the pharmacy workflow. Please remember that The Emily Jerry Foundation is a small “grassroots” effort working extremely hard to affect this type of positive change in pharmacy overall. This coupled with the fact that most of my time has been spent working on hospital pharmacy, quite honestly, up until this year, I really haven’t had the time to begin as concentrated an effort with the various unique concerns associated with the retail pharmacy practice. When I first began working with Kroger Pharmacy, based in Cincinnati, Ohio, I must admit that I had a very dismal view of the retail pharmacy practice in general. Recently, however, I’ve been afforded the opportunity to meet and interact with so many wonderful people associated with Kroger Pharmacy, learning so much about how they manage and operate their retail pharmacies across the country. I am very pleased to say that they always seem to put their customer’s safety first, before their profits. In my opinion, this is exactly what really sets them apart from the other retail pharmacy chains. For this main reason and many others Kroger Pharmacy has completely changed my former negative opinions about retail pharmacy. Many major corporations give lip service to certain safety issues, and even attempt to generate publicity surrounding that same “talk,” but the Emily Jerry Foundation judges integrity based on actions. When the bottom line is adversely affected by a new procedure that may increase patient safety, those good intentions sometimes never see the light of day. We all know actions speak louder than words. The reasons why we have been singling out Kroger Pharmacy as such a shining star in this arena is due to their accuracy policies and procedures which showcase a commitment to safety. For example, Kroger Pharmacy has implemented a policy where ALL new prescriptions are checked a second time within 24 hours of being filled. This is referred to as a “Post Fill Audit” and is not something that is required by law. This is above and beyond the call of duty, and shows a dedication to preventing serious harm. The double-checks are done within that critical first 24 hours to ensure if a mistake is caught that any adverse effects will be minimized and immediately stopped. Another simple technique currently in use is a barcode scan that occurs at pharmacy counters, where technicians must verify the date of birth of the customer. This ensures the right person is getting the correct medication. These actions speak volumes and prove Kroger is actually holding true to their core values of “Integrity, Honesty, Respect & Safety.” I applaud their efforts and hope to continue to work together with them and others in the retail pharmacy field to reduce errors and keep us all safe and healthy! Unfortunately, other kroger problems, such as overworking their pharmacists vs. available staff, can be very dangerous, too. The post fill audit is good, but it can only matter if one is given enough time to thoroughly complete them. The staff of many pharmacies are understaffed, leading to an attitude of “let us get the post fill audits done quickly.” One staff member was suspected of just hitting “Accept” without even looking at them. In my opinion, things must have gone downhill at Kroger Pharmacy since this blog was published. Our local Kroger Pharmacy filled a prescription with a totally unrelated drug, just because the two drugs had similar names. This went on for over half a year before they finally admitted to their mistake. However, their response to their incredibly negligent mistake was basically “My Bad.” They have refused to recognize the dramatic psychological, physical and financial harm caused by their error, instead insisting that it is all coincidence. I would for once like to see a big corporation like Kroger take responsibility for their mistakes, instead of causally ruining people’s lives like it is nothing.